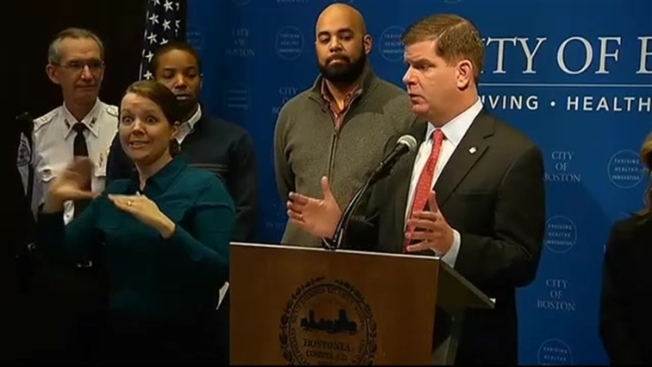 Mayor to Snow Jumpers: Boston "Isn't Loon Mountain"
Boston residents overwhelmed by massive snowfalls the last month have been recording videos of themselves jumping out of windows and into snowbanks, and Mayor Marty Walsh wants them to cut it out. Walsh chastised thrill-seekers who've been filming themselves performing the frosty feat and then posting the videos on social media websites. He says, "It's a foolish thing to do, and you could kill yourself." He says Boston "isn't Loon Mountain," a New Hampshire ski resort. He said Monday the stunts are dangerous as city workers struggle to clear snow-clogged streets and deal with snowbanks 10 feet high. The city has scrambled to keep roads clear after the record-breaking snowfalls.